Thanks to the PK Hack team at www.starmen.net for this unique discovery! Many Kirby fans are already more than familar with the SNES RPG EarthBound, and this appearance by Kirby already a very well known item among www.starmen.net visitors. Although Kirby's appearance is only one sprite, it's significance lies more at where it turns up in the game. Somehow, a person at www.starmen.net stumbled across the doorway to opening a debug menu within the game of EarthBound. While bits and pieces were found at first, it wasn't long until many people starting picking at it. Years ago now, Tomato created a program called PK Hack. PK Hack is a program that anyone can run, that allows them to open the EarthBound rom within the program, and edit it without any knowledge of hex codes and such. 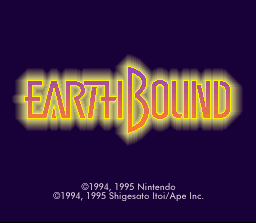 The interface and setup allowed easy browsing and viewing of virtually any part and pixel of EarthBound. Within www.starmen.net, it wasn't long until a team of people began to pick apart the game. However, a mystery arose when someone stumbled upon a Kirby sprite. There was no sign that this was used anywhere in the game, so it seemed strange to just be randomly put in the game unused. Somewhere down the line, the debug menu and the Kirby sprite mystery got tied together, and the finding was surprising. By editing hex codes or using Game Genie Codes, the debug menu was finally found. Through this installed menu, it is a guess that the development crew for EarthBound could access different parts of the game for whatever purpose. The cute little mascot for the menu, was Kirby! As many people know, the creative folk from HAL who produce every Kirby game, had a part in EarthBound as well. It a way, HAL was just leaving their mark. Anyway, this is how I understand the story.